Lama Zopa Rinpoche on the way to airport, Taiwan, June 2016. Photo by Ven. Roger Kunsang. His Holiness the Dalai Lama, Lama Zopa Rinpoche and Ven. Roger Kunsang discussing FPMT projects, Dharamsala, India, April 2015. 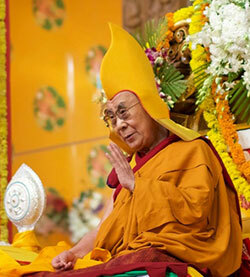 Photo by Office of His Holiness the Dalai Lama. Rinpoche has given new advice explaining why it is incorrect to follow Dolgyal (Shugden). We’ve added that to our collection of advice and information on this issue. 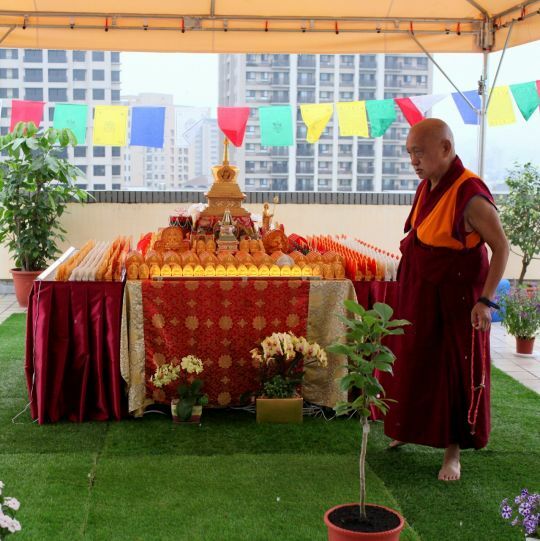 Lama Zopa Rinpoche circumambulates his rootop veranda altar, Taiwan, May 2016. Photo by Ven. Lobsang Sherab. His Holiness during long life puja offered at Tashi Lhunpo Monastery, India, January 2016. Photo by Bill Kane. Lama Zopa Rinpoche has referred to His Holiness the Dalai Lama, whose birthday we celebrated July 6, as “the great treasure of infinite compassion embracing all sentient beings, the sole source of benefit and happiness of all sentient beings, and the sole refuge of all sentient beings.” Service to His Holiness is the main priority of FPMT, as Rinpoche explained in his Vast Visions for the organization. 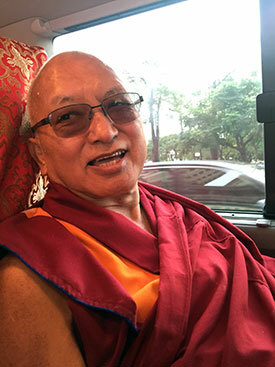 As Lama Zopa Rinpoche has explained, anything FPMT does to promote and preserve Tibetan Buddhism is an offering to His Holiness and the Tibetan people. In this way, all the activities in FPMT centers, projects, and services that are educating others in the practice of Tibetan Mahayana Buddhism are in service to His Holiness. Through offering daily meals to ordained Sangha studying at Tibetan Buddhist monasteries and nunneries, such as is done through the Sera Je Food Fund, which offers three meals daily to all of the monks of Sera Je Monastery, FPMT is helping preserve Tibetan Mahayana Buddhism. His Holiness requested FPMT to establish the The Lama Tsongkhapa Teachers Fund in 1997. The purpose of the fund is to preserve the Gelugpa school of Tibetan Buddhism and cultivate the teachers of tomorrow. This fund supports up to 150 senior teachers each year, including the current abbots, past abbots, and main teachers of the Lama Tsongkhapa tradition, with monthly stipends. You can read more about how FPMT is offering service to His Holiness and the Tibetan people, through our charitable projects. We invite you to rejoice with us in the ways we are able to follow His Holiness’ most precious advice, create the cause for His Holiness’ long life, and offer support to His Holiness and the Tibetan people. 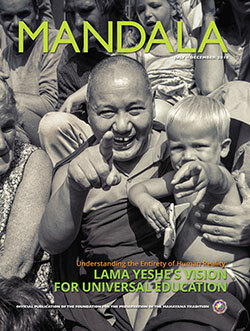 The latest issue of Mandala explores Universal Education, Lama Yeshe’s vision for transmitting the essence of Buddhadharma to people of every age and background. We have teachings from His Holiness the Dalai Lama and Lama Zopa Rinpoche; interviews with Lama Yeshe, Robert Thurman and Jon Landaw; stories about Universal Education-related work being done at by Foundation for Developing Compassion and Wisdom, Istituto Lama Tzong Khapa and Maitripa College; and more! It’s not too late to receive the new issue! Become a Friend of FPMT today or order an individual copy through the FPMT Foundation Store. Lama Zopa Rinpoche, Geshe Tenzin Khenrab, the men who helped carry Rinpoche’s palanquin to and from Tiger’s Nest Monastery, and others, Bhutan, June 2016. Photo by Ven. Lobsang Sherab. Please enjoy this special discount on The 16 Guidelines for Life, produced by the Foundation for Developing Compassion and Wisdom, and support Rinpoche’s vast vision for Universal Education, one of FPMT’s Five Pillars of Service. Promotion valid until July 31, 2016. We welcome Tara Lanka Study Group (probationary center) in Sri Lanka! Deux nouveaux livrets viennent d’être publiés en français : Les trois catégories de vœux et leurs engagements respectifs et Les pratiques de Namgyèlma. Ces livrets sont disponibles en papier et eBook. 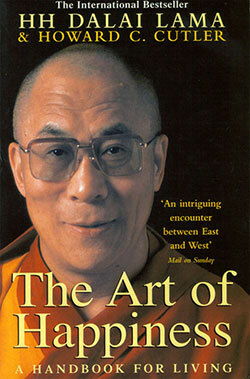 The same translator who translated His Holiness the Dalai Lama’s books into Tibetan (see above), has translated Lama Zopa Rinpoche’s How to Practice Dharma into Tibetan. The manuscript is now undergoing a final copyedit and will be published by Lama Yeshe Wisdom Archive for free distribution throughout the Tibetan community. The translator is now working on translating Rinpoche’s Perfect Human Rebirth.